The move could happen by the end of this week, with Shanghai paying the Asian Champions League winners around $1.5million for the 23-year-old. Juric's future with Wanderers, who are 1/1 to win the Grand Final, had been the subject of much speculation in the past two months, since his goal saw them beat Saudi Arabian side Al-Hilal to lift the Champions League trophy. His goal from the first leg in Parramatta - his fourth of the tournament - was enough to give them a 1-0 aggregate success as Western Sydney became the first Australian ACL winners. Juric scored 12 goals in total last season, helping Tony Popovic's side reach the A-League Grand Final for the second consecutive year. Things have gone badly wrong for the club in the league this season, though, and they are bottom of the table without a win in their 12 games. Wanderers are 1/1 to finish in the top six. Popovic signed former Young Socceroos striker Kerem Bulut this week, paving the way for Juric's departure. Juric had said at the start of the month that his goal was to play in Europe again - he started his senior career in Croatia, where he played for three different teams. But Shanghai put big money on the table for him, offering $10million over three years. Ante Alilovic, the agent who brokered the deal, said: "The clubs have agreed a fee and there is no issue there. I am expecting things to be finalised very shortly. It is looking very positive. "Shanghai have a top coach in Francis Gillot who spent three years with Bordeaux and won the French Cup there. How can Tomi not learn and develop under a coach like that? No disrespect to Tony Popovic but I think Bordeaux is a bigger club than Western Sydney." 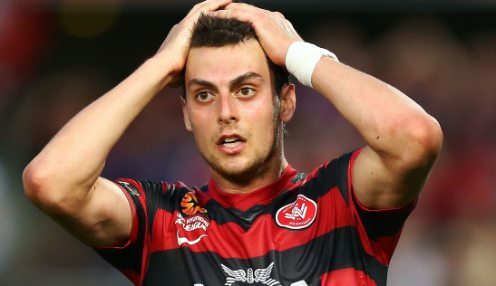 The deal will mean Juric misses out on Asian Champions League football this year. While Western Sydney start the defence of their trophy next month, Shanghai Shenhua have not qualified after finishing ninth in the league last season.